Click on any image to jump to that project. 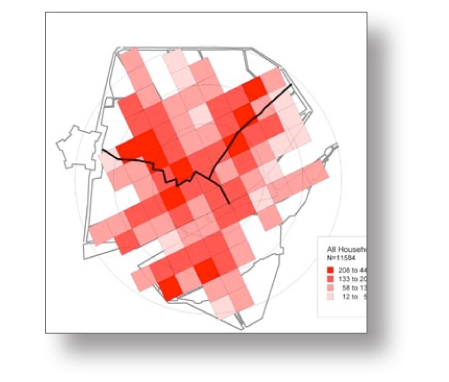 (Heather Smith et al., Wilfred Laurier University) investigates the intersection of cultural, social, and intellectual history through digital humanities platforms. 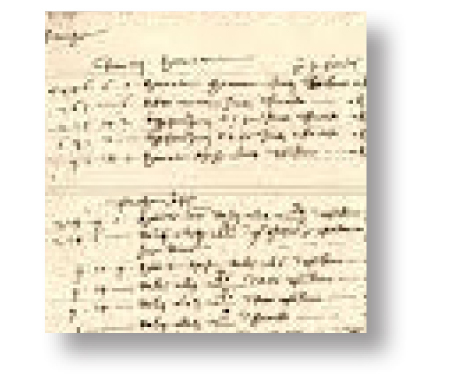 Their headline project, Sonorities of the Street: Music and Identity in Renaissance Florence (1484-1539), contextualizes novel recordings of Lorenzo de’ Medici’s Canzone within the contemporary streetscape of Renaissance Florence. 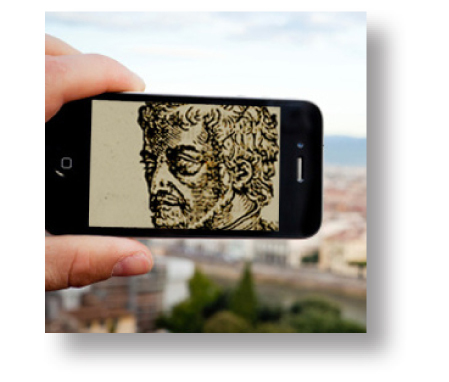 (Fabrizio Nevola, University of Exeter, and David Rosenthal, University of Edinburgh) is a novel smartphone app that leads users through 1490s Florence with the help of a virtual guide, a wool worker named Giovanni. Users are led on a hunt for statues, shrines, piazzas and palaces while Giovanni recounts vivid tales about his city. 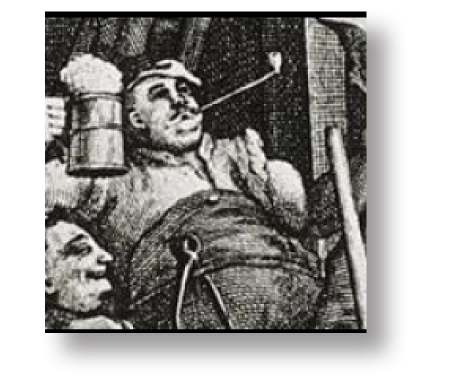 (Fabrizio Nevola, University of Exeter, and David Rosenthal, University of Edinburgh) is an AHRC Connected Communities pilot study on tavern culture and public space from early modern Europe to the present. 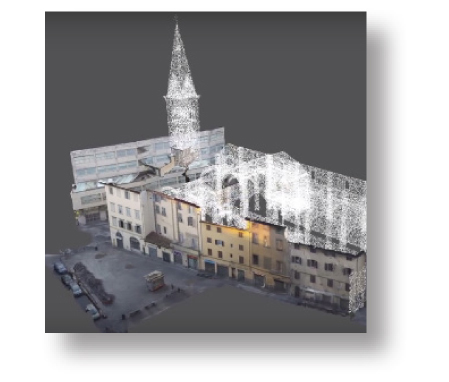 (Donal Cooper and Francois Penz, Cambridge University; Jenny Sliwka, The National Gallery, London) virtually reconstructs a now-destroyed major Florentine Church and determines the placement of altarpieces by Francesco Botticini and Jacopo di Cione. protects, promotes, and enhances the religious, civic, cultural and historical functions of monuments in its care. (Anne Leader and Worthy Martin, University of Virginia; the Institute for Advanced Technology in the Humanities) is an illustrated digital catalogue of the city’s tomb monuments that recreates the memorial landscape of the pre-modern city and enables the study of commemorative culture in medieval and Renaissance Florence. 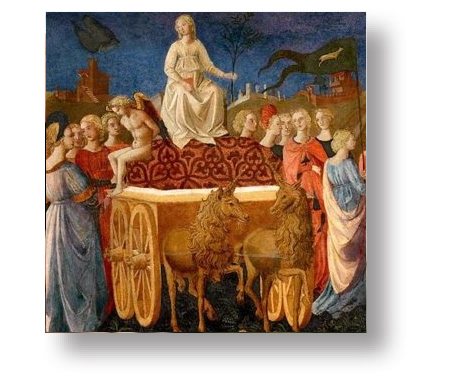 The project has been supported by the American Philosophical Society, ARTstor, the Harvard University Center for Italian Renaissance Studies at Villa I Tatti, the Kress Foundation, and the Renaissance Society of America. (Jasmine Proteau, University of Toronto). 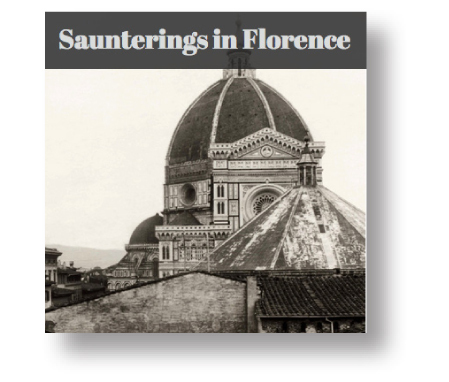 In collaboration with the Kunsthistorisches Institut in Florence, this digital exhibition explores the history of Florentine tourism through historical guidebooks. (R. Burr Litchfield, Brown University, 2006) is an early database of ca. 750 items plotted on sections of the Buonsignori map of 1584/94. (David Herlihy, Christiane Klapisch-Zuber, R. Burr Litchfield and Anthony Molho) is the fruit of the groundbreaking work of David Herlihy and Christiane Klapisch-Zuber. 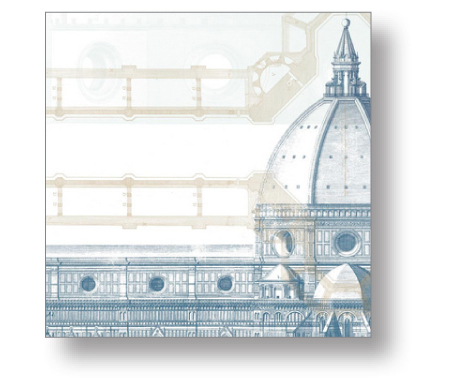 The database enables users to search 10,000 tax records for the city of Florence in 1427-29. (David Herligy, R. Burr-Litchfield, Anthony Molho) This database provides information on office holders of the Florentine Republic It is an early example of Renaissance DH work and was created with with support from the National Endowment for the Humanities, Division of Preservation and Access, and the Brown University Center for Computing and Information Services and Scholarly Technology Group. 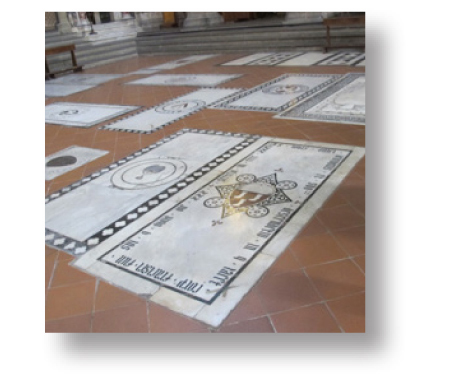 An edition of the Tre Maggiori, Guild elections and Birth registrations is now available.